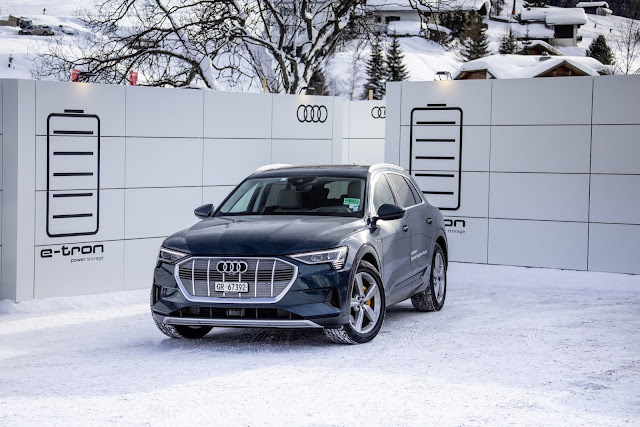 Davos/Ingolstadt, 22 January 2019: Audi is providing a fleet of 50 Audi e-tron cars for the World Economic Forum in Davos, as the exclusive shuttle partner for the prestigious global event. The electric cars are powered by green electricity, and with mobile charging containers, the company is demonstrating a potential application of used batteries from electric cars and the car’s practicality in the snowy Swiss mountains. Three mobile Audi charging containers with a total output of 700 kW and a capacity of 1.14 MWh will ensure the rapid supply of green electricity for the intensively used e-tron fleet. 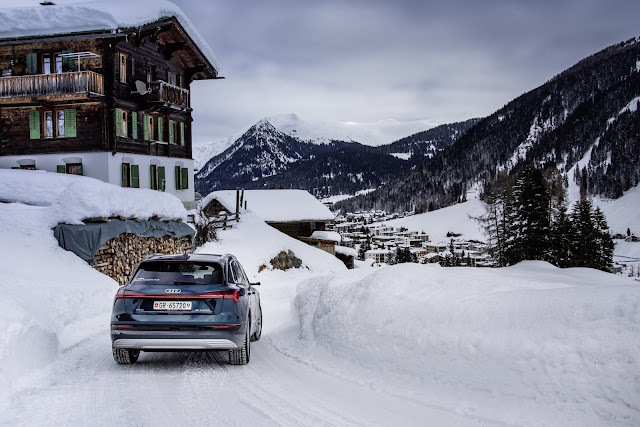 The Audi e-tron is its first all-electric large-series model. More than 20,000 reservations have already been received for this model, which will arrive in the showrooms in Europe next week. With this project, the company is testing the reuse of electric car batteries. After their phase of use in cars is over, the high-voltage batteries continue to be suitable for various energy-storage applications. For this reason, Audi is testing scenarios for using the available resources as efficiently as possible. The company is currently deploying the containers at major events and is thus flexibly supplementing the local charging infrastructure. This is a visible commitment on the car maker's part to the values of the Global Battery Alliance of the World Economic Forum. The alliance consists of public and private sector partners from the entire battery supply chain and aims to ensure social and ecological sustainability in the value chain of battery raw materials. Audi has been a member of the alliance since 2017. 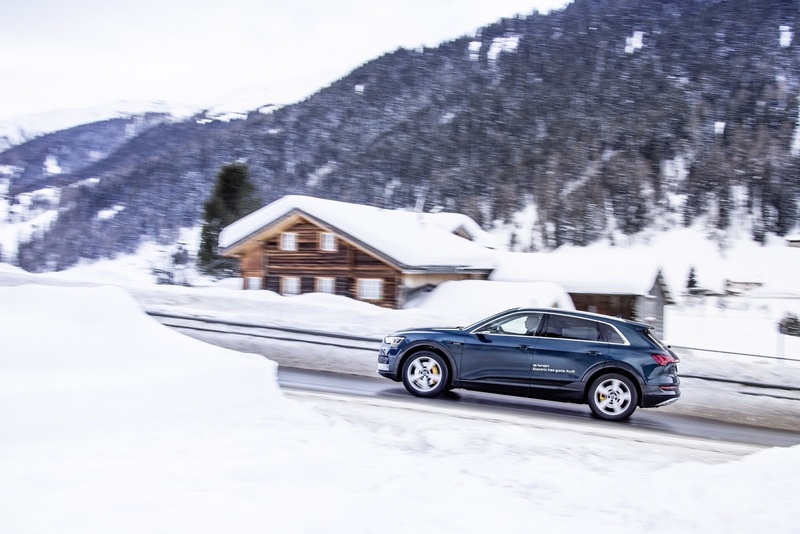 Audi has been supporting the World Economic Forum as the exclusive shuttle partner since 1987. The 49th Annual Meeting of the World Economic Forum is taking place in Davos between 22-25 January 2019.